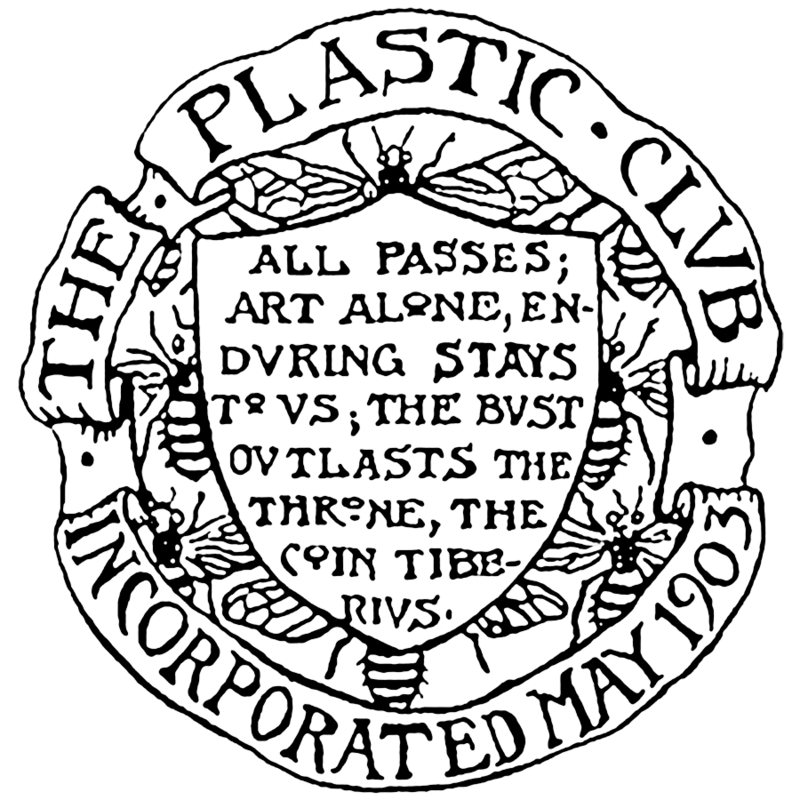 A beloved home-away-from-home to many, The Plastic Club has supported and nourished artists since 1897. Today, The Club offers ten drawing workshops a week, monthly all-media exhibitions, and a lively program of film, dance, music, poetry, and more. It remains 100% volunteer-run and not-for-profit. All are welcome. Friday, April 26 and Saturday, April 27, Deliver work for the Members’ Medal Show / Pick up work from the Stories to Tell Show. 10 AM - 3 PM. Friday, May 24 and Saturday, May 25, Deliver work for the Workshop Show / Pick up work from the Members’ Medal Show. 10 AM - 3 PM. John Attanasio is having a solo show at the Philadelphia Sketch Club from April 1st to April 30th. The reception is April 28th, from 2:00 to 4:00 PM. For weekend visits call the Sketch Club office (215-545-9298) on Friday afternoon to confirm that the gallery will be open and staffed by a volunteer on the day you plan to visit. Alan Klawans and Jane Adriance will be having a show, “The Other Side,” at the Artists’ Gallery at 18 Bridge Street, Lambertville, NJ. The show runs from April 4 to May 6. The opening reception is Saturday, April 6, 3-6 PM. Laura Madeleine will have two works in the 76th Annual Juried Painting Exhibition at the Cheltenham Center for the Arts with one of the paintings winning an award. The exhibition opens with a reception Sunday April 7 from 2-4 pm. It will be on view until May 5th. Carter Leidy will be having a show, “Small Pleasures Revisited,” at Twenty-Two Gallery, 236 S. 22nd Street, Philadelphia, from April 12th - May 5th. Opening reception is Friday, April 12, 6:00 - 9:00 PM. Lois Schlachter will have a solo show, “Subconscious Conceptions,” at Off the Wall Gallery & Custom Framing, 4059 Skippack Pike, Skippack, PA 19474. This exhibition runs from May 3rd thru May 31st. Opening reception is Friday, May 3rd, 5-8 PM. Gallery hours are Wednesday and Thursday 10 AM -5 PM, Friday 10 AM-7 PM, Saturday 10 AM -5 PM and Sunday 12 - 5 PM.